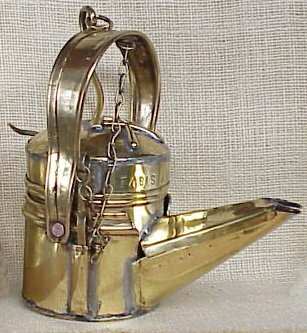 Brass Frog Lamp made by J. Siraub France. 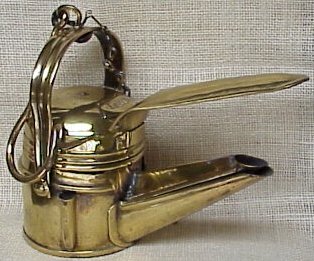 Brass Font Giesser Lamp - Germany. 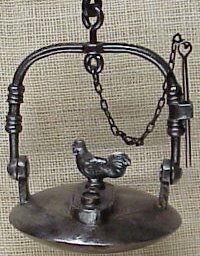 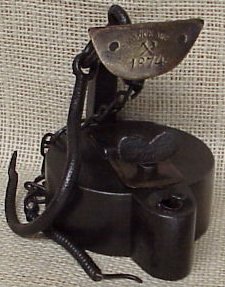 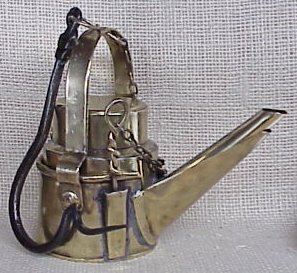 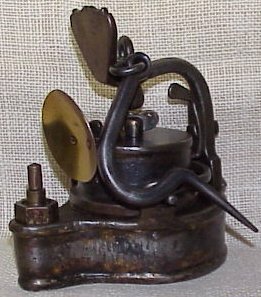 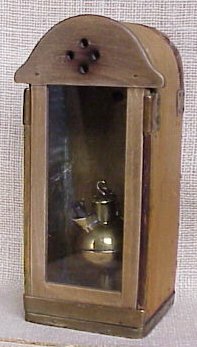 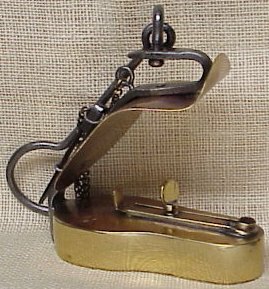 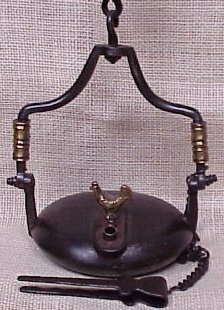 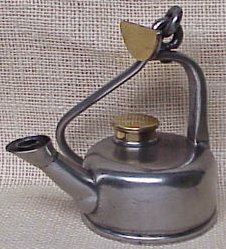 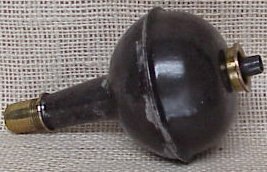 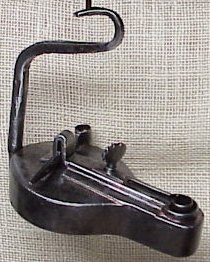 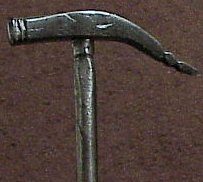 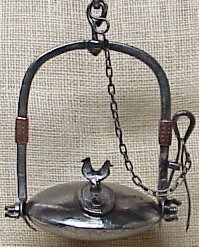 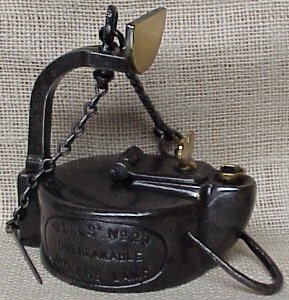 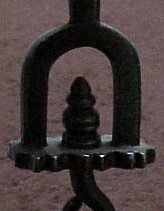 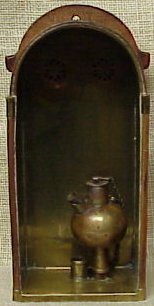 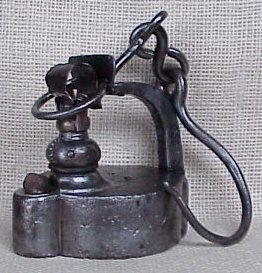 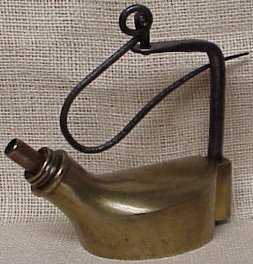 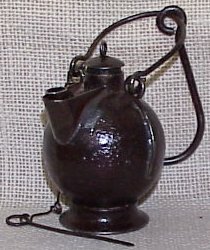 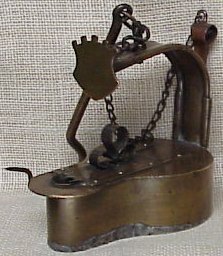 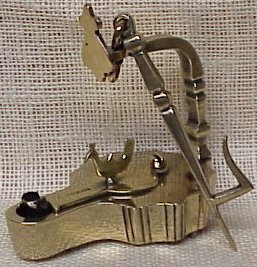 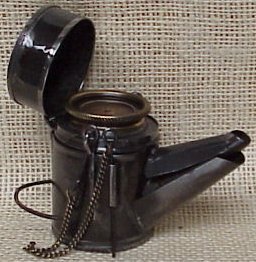 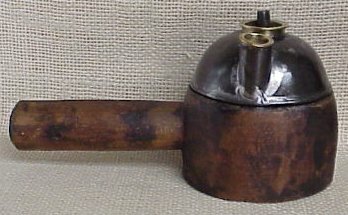 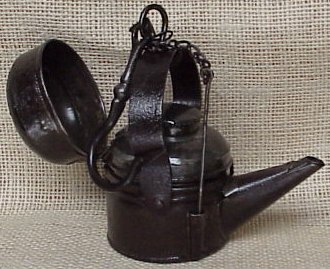 Hand-held Oilwick Lamp - Wales.